The world as we know it is changing rapidly. Same applies to the career options that are sprouting for students with a creative and unconventional bent of mind. No longer are students limiting themselves to traditional career streams. They are opening themselves up for new and exciting work opportunities. ACCT, an affiliate of SIEC, offers various professional and vocational courses for students to help them create a career in unconventional areas. 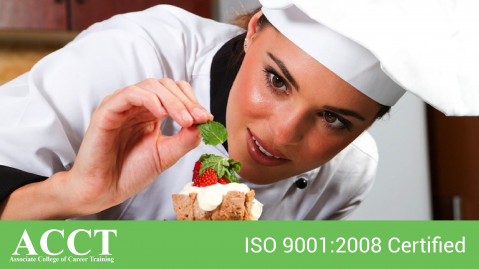 A hospitality course with specialization in Patisserie is one such area which is fast gaining popularity. This certificate course puts emphasis on both theoretical as well as practical aspects of patisserie so that students get to know about intricacies of pastry making. Students are also taught about various techniques of cake decoration and sugar and chocolate work to enhance both, the presentation as well as taste of the product. The course at ACCT has been designed along the lines of Holmes Institute, Australia. After completion of this course at ACCT, students are eligible to continue their studies in Australia, New Zealand or Singapore with the help of credit transfer system. Even if further studies are not in your plan, this course will equip you with sufficient skills so as to make you employable in setups like cake shops, high end bakeries, restaurants etc. For admission in this course, those with year 12 education are preferred. The cost of the course is highly economical. Faculty comprises of experts in the field with years of professional experience at their disposal. The assessment is undertaken on continuous basis with the help of variety of tools such as examinations, class exercises, practise sessions etc. Thus, studying patisserie at ACCT will prepare you for a successful career as a bakery chef. The course covers all the aspects to give you a well rounded training in this exciting field. For more information about this course, contact ACCT.